These Trick or Treat Bags go together in 15 minutes with Joy® Embroidered and Iron-On Letters and are fun to make with the kiddos! 1. 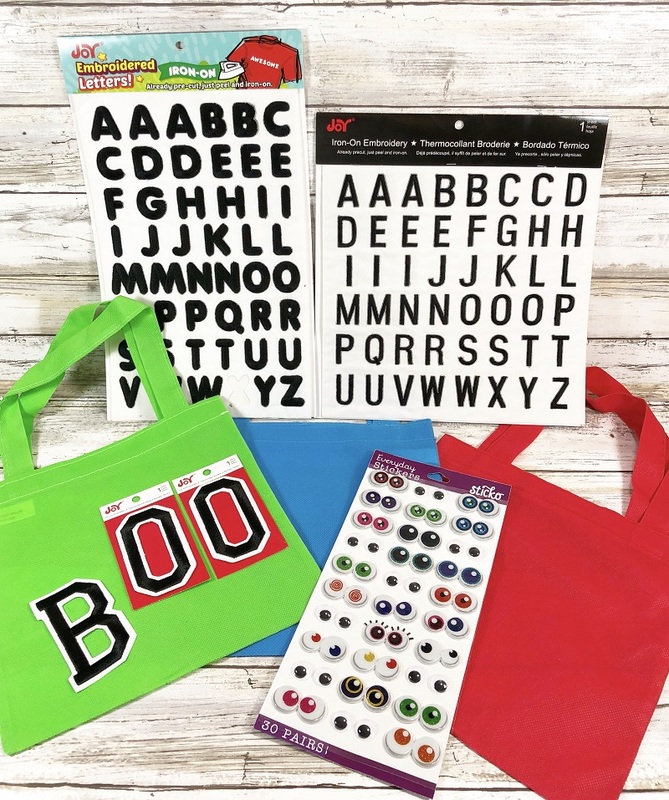 Select the Joy Embroidered Iron-On Letters for each bag. Black Varsity BOO; Black Bubble TRICK OR TREAT and Black Block SPOOKY FUN. Dry fit for placement. 2. 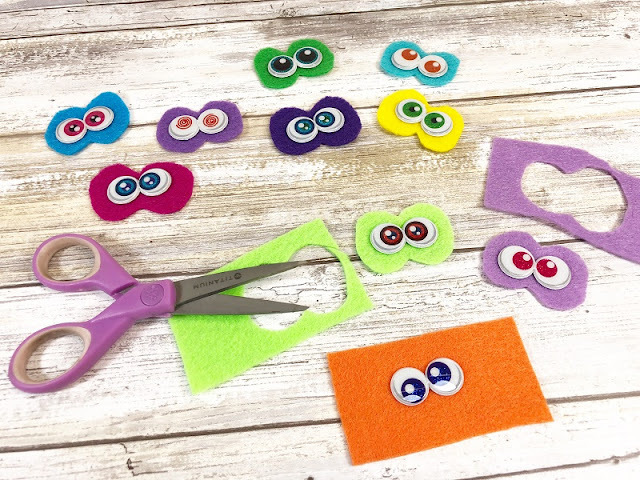 Peel and stick monster wiggle eyes onto Kunin Felt scraps, then cut out around the eyes to create a colorful border. 3. 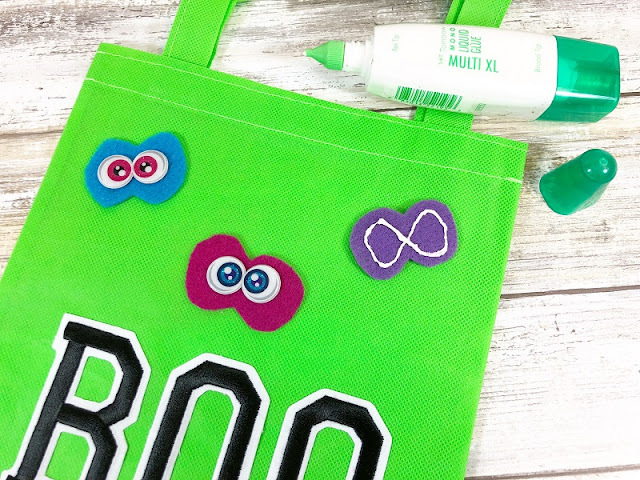 Peel and stick the BOO letters on the green bag. Iron on the TRICK OR TREAT and SPOOKY FUN letters on the blue and red bags with an iron, following the directions on the back of the packages. 4. Attach eyes to felt and felt to bags with MONO Multi Liquid Glue, let dry. 5. Add black ric rack to the top edge of each bag with MONO Multi Liquid Glue, let dry. Here are a few close-up photos of the finished bags. 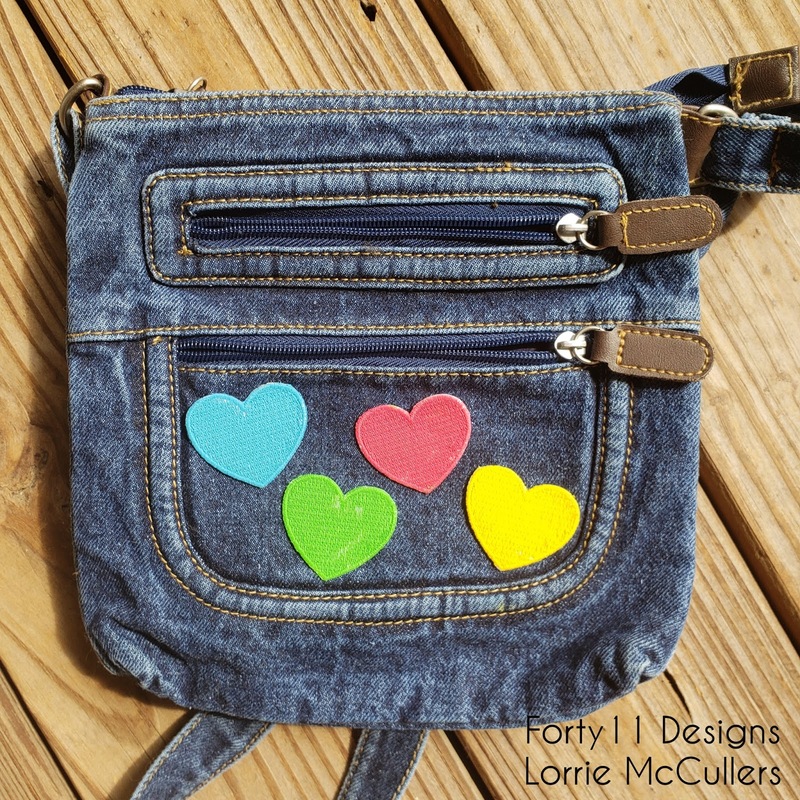 Colored hearts make this little purse something to love! I have a confession: I am a purse hoarder! I absolutely love purses, and I have a ridiculous number of them stashed away in closets and boxes. I refuse to get rid of any of them because I never know when I might want to put it back in my purse rotation. For example, take this little denim crossbody purse. 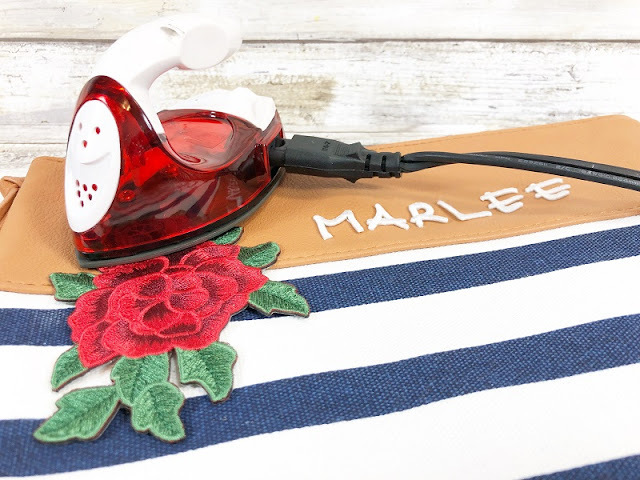 It was cute and still in perfect shape, but it was a little plain so I decided to bring it back to life with some fabric paint and Joy® embroidered iron-on hearts! 1. 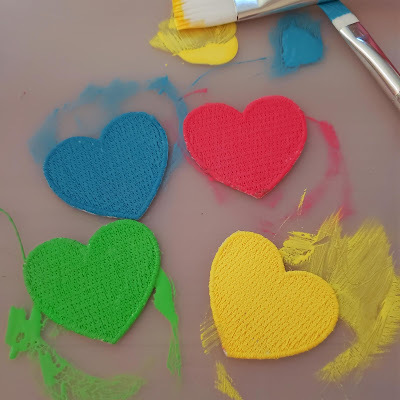 Paint the hearts using fabric paint and flat brushes. I painted each of mine a different color, but use your imagination! Joy letters are so easy to paint! Allow 24 hours to air dry. 2. 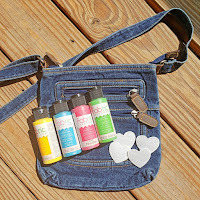 Following instructions on the packaging, iron the hearts onto to the front of the purse using a pressing cloth. Yes! It's that easy..... Enjoy your "new" purse! 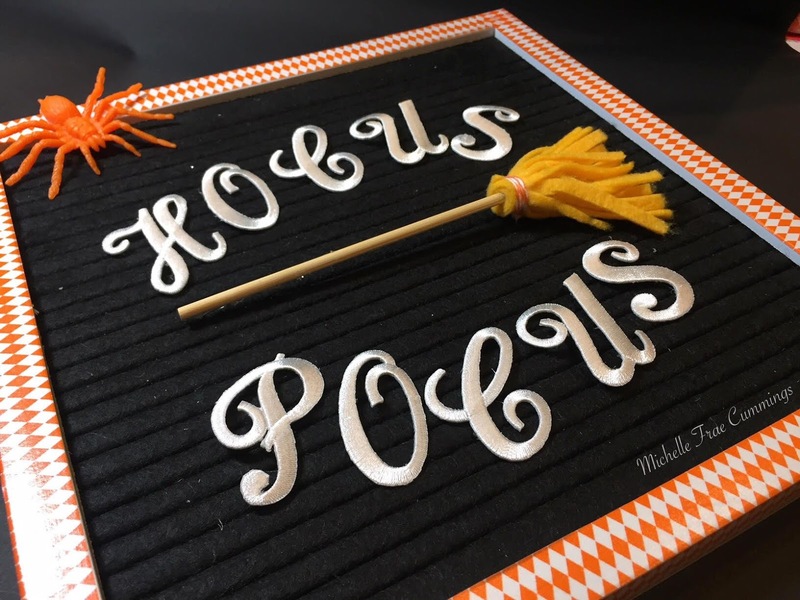 Fall is in the air and it's time for Halloween decorations. I love banners - they are quick to come together and they look great everywhere in the house! This banner is a little larger than the ones I normally make because I used premade panels to save time; but I love how it came out. 1. Paint the letters with orange then set aside to dry. 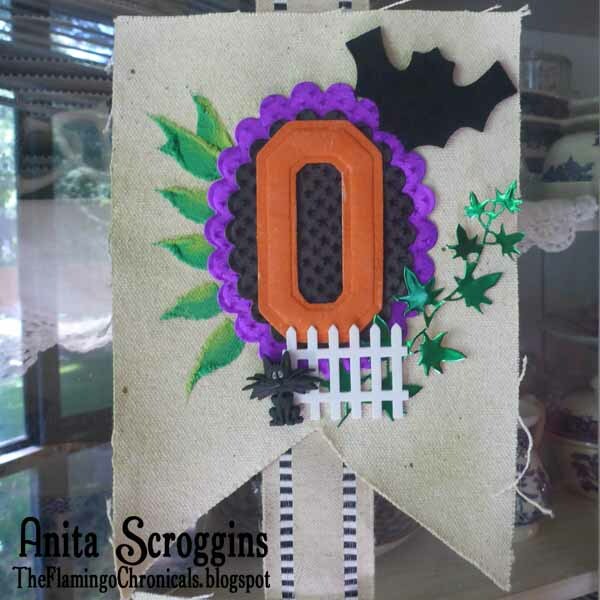 Die cut accent shapes: pumpkins, bats and layers for the background from paper and the leaves from foil. 2. 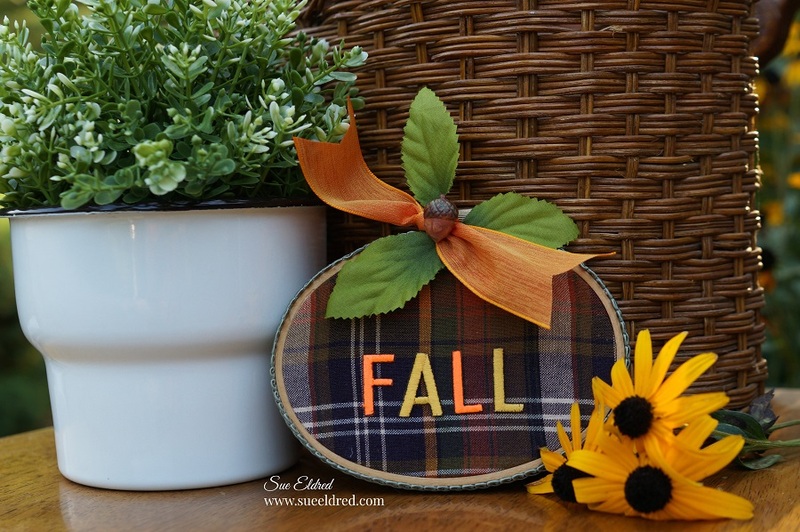 Use two colors of green fabric paint to paint leaves on the blank canvas, if desired. Adhere the foil shapes and iron-on letter and additional embellishments as shown. 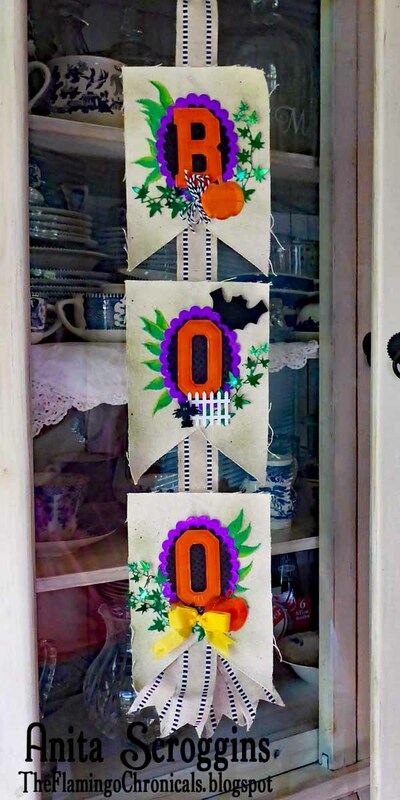 Glue each panel to a long ribbon to finish, then add additional bows as desired. Hang and enjoy! 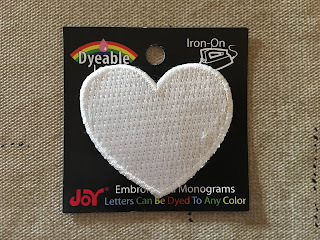 You can find a selection of Joy® iron-on embroidered letters in a variety of colors, fonts and sizes at your local craft store. Conundrum Baskets. Will it be a Trick or a Treat? Do you know what creeps up on you in September?? October! This is the time of year we love to dig out the fake spiders and other creepy stuff for chills, kicks and parties! I have a really simple project today that will go from October through November. 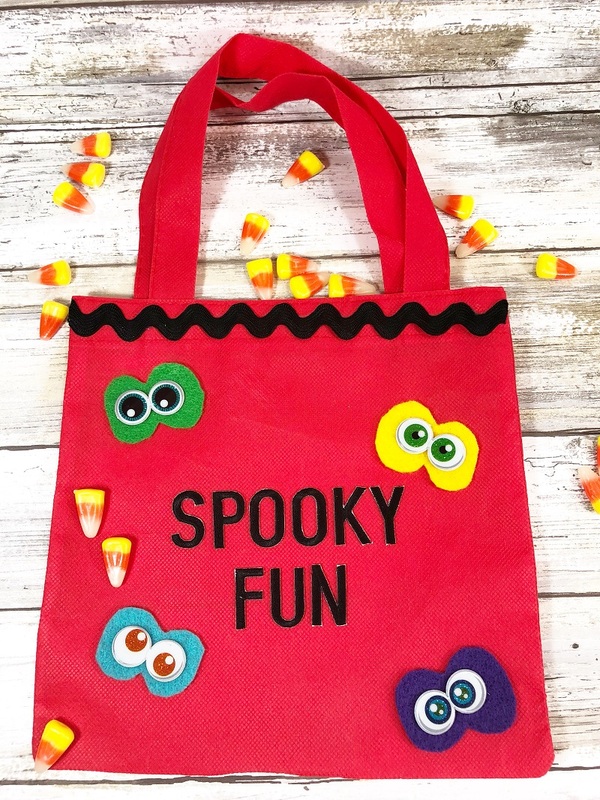 Read on to see how fun and simple it is. 1. Paint the baskets orange if they are not already painted. Allow to dry thoroughly. 2. 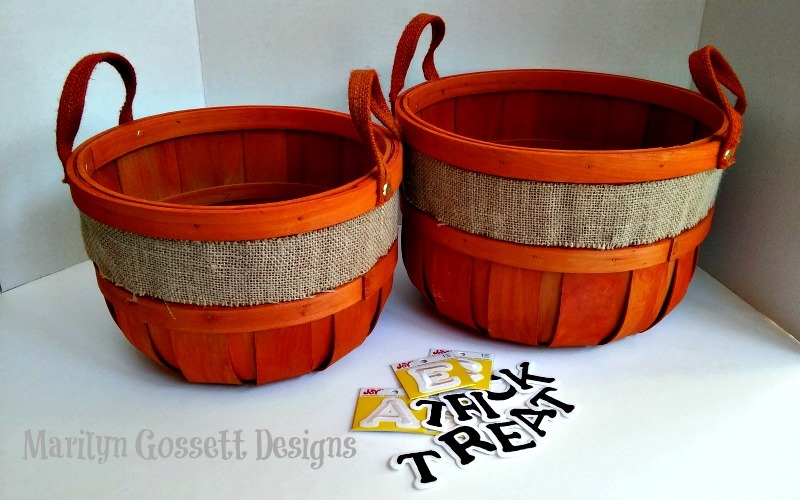 Adhere burlap trim around the outside of the baskets. 3. Remove the release paper from the back of each letter. Adhere to the front of the basket. Note: The placement adhesive on the back of each letter will hold the letters in place with ironing. 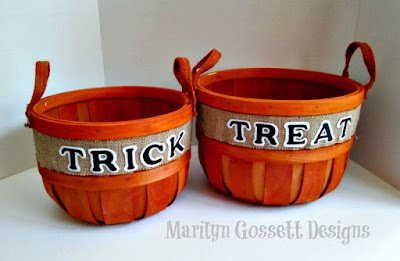 The letters can then be removed after Halloween and the baskets will serve you through Thanksgiving! Save them for next year. 3. 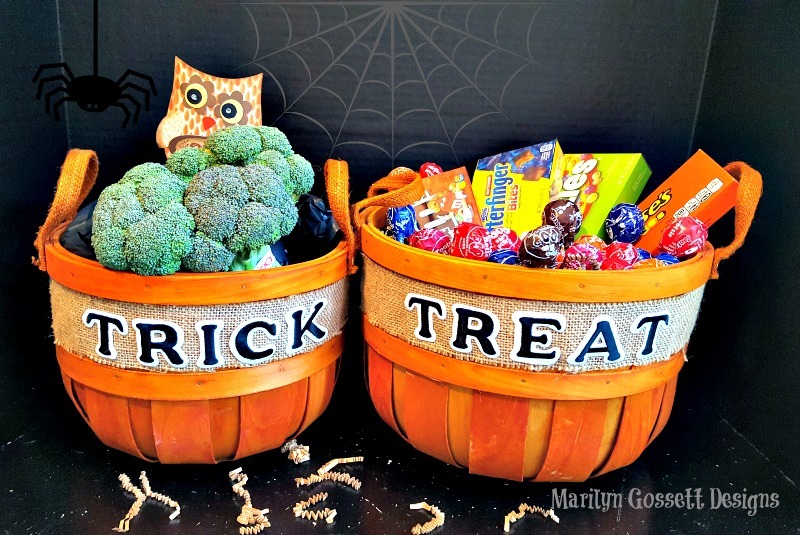 Add toys or a plant (mums are good) to the Trick basket. Fill the Treat basket with sweet treats. Enjoy! 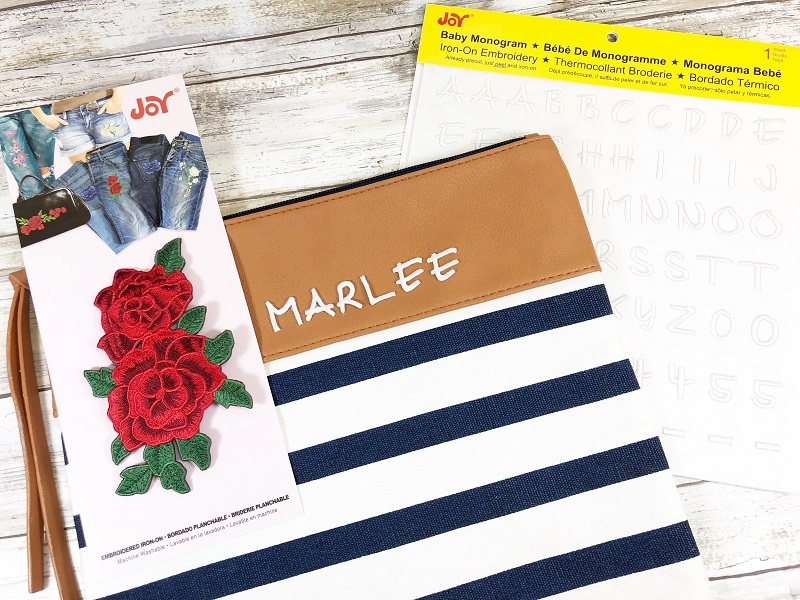 Joy® embroidered letters can be applied to most surfaces. They have a heat-activated adhesive that is fabric and washing machine friendly. 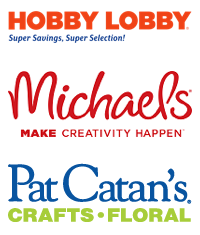 They come in many sizes and shapes for all of your creative needs and are available at your local craft stores. 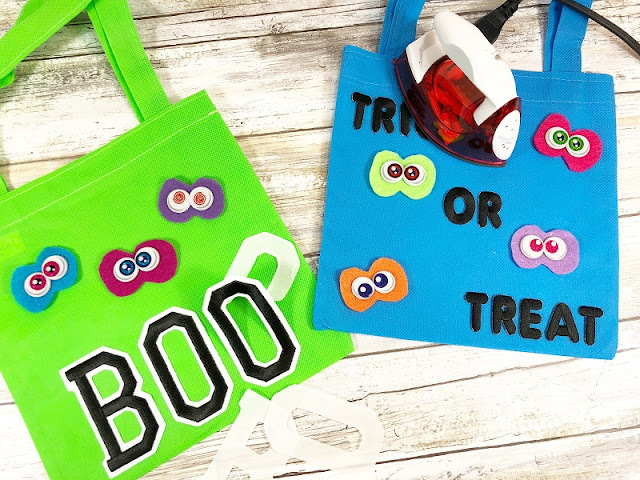 Make a custom felt board this Halloween with with Joy® embroidered letters! A bamboo skewer cut down to 5 1/2"
1. Use a piece of wire to measure the depth of the felt board. Place wire into the pliers as shown, and mark top of pliers with a marker as a guide for the next wire piece. 2. 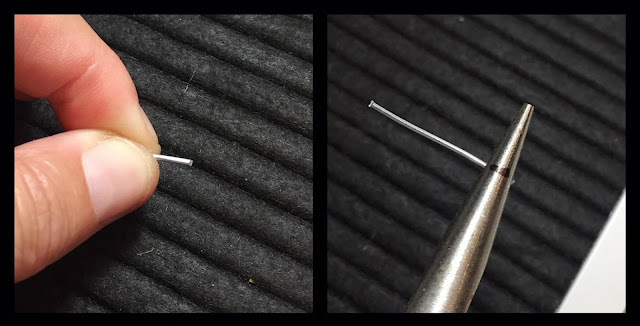 Use the pliers to hold the wire firmly then into an "L" shape. Repeat this with the remaining wires. 3. Adhere a wire to the back of each letter. Hold in place until the glue sets. Add a dot or two of more hot glue to ensure the wire stays in place. You may need to trim or curve the wire to fit each letter. *This takes a little bit of practice, so if you mess up and the wire slips, wait a few seconds for the glue to cool then peel off and start all over. 4. Fringe the felt by trimming the width into 1/8" wide strips with a 1/4" border at the top. 5. Use the hot glue to attach one end of the felt to the skewer. 6. Roll the fringe around the skewer, adding a bit of glue here and there. Secure end piece with glue. 7. 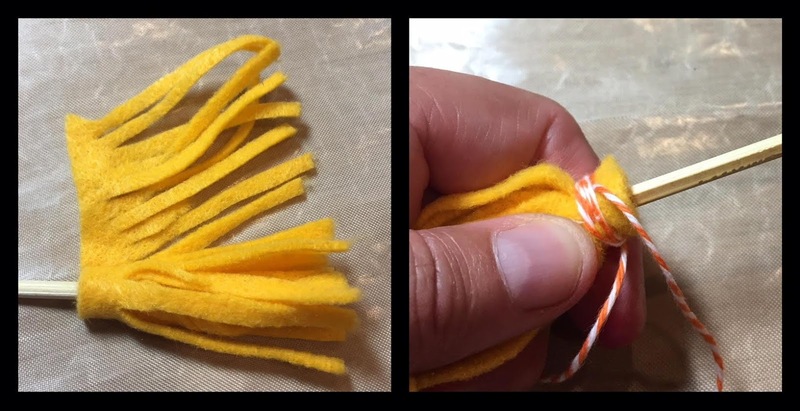 Grasp the rolled fringe in one hand while you use the other hand to tightly wrap the twine around the top. Tie a knot and cut off excess twine. 8. Place you letters onto the board. 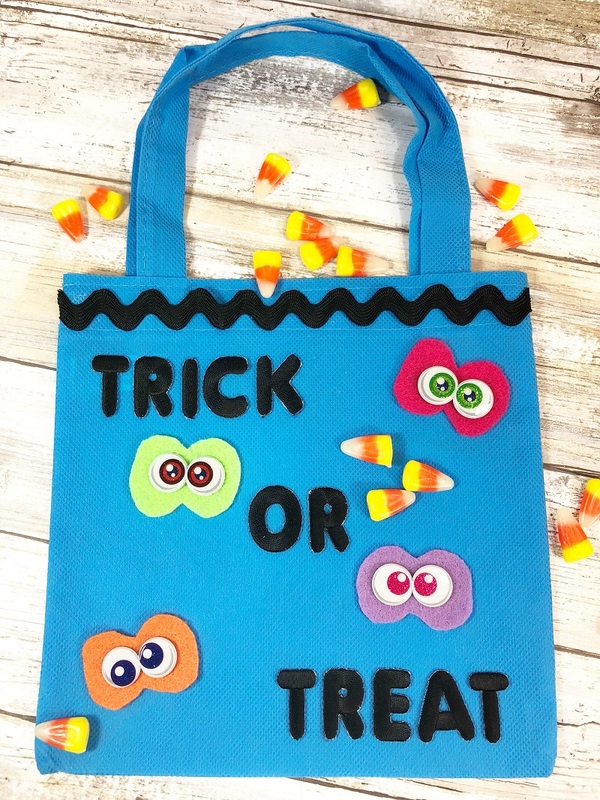 The wire allows you to twist and turn the letters in a fun whimsical way. 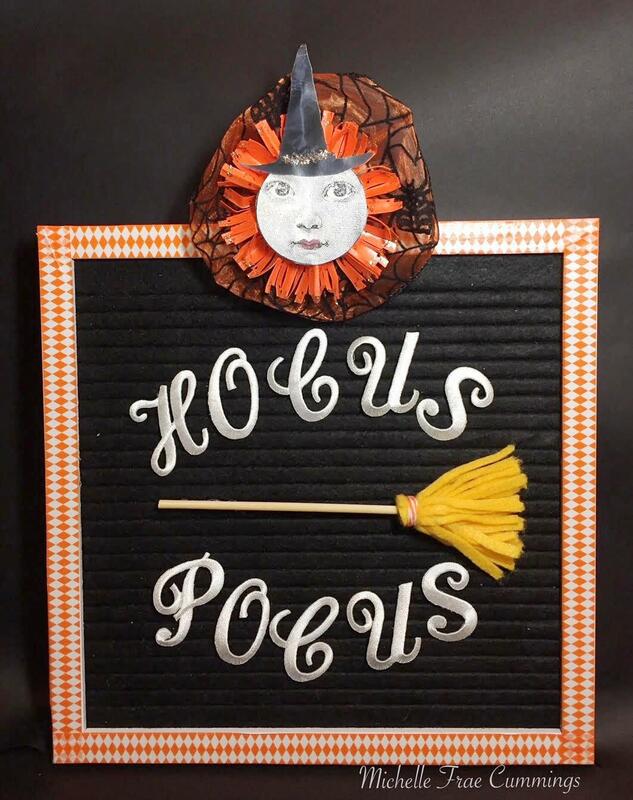 Hot glue some bent wire at both ends of the broom and add to your sign. 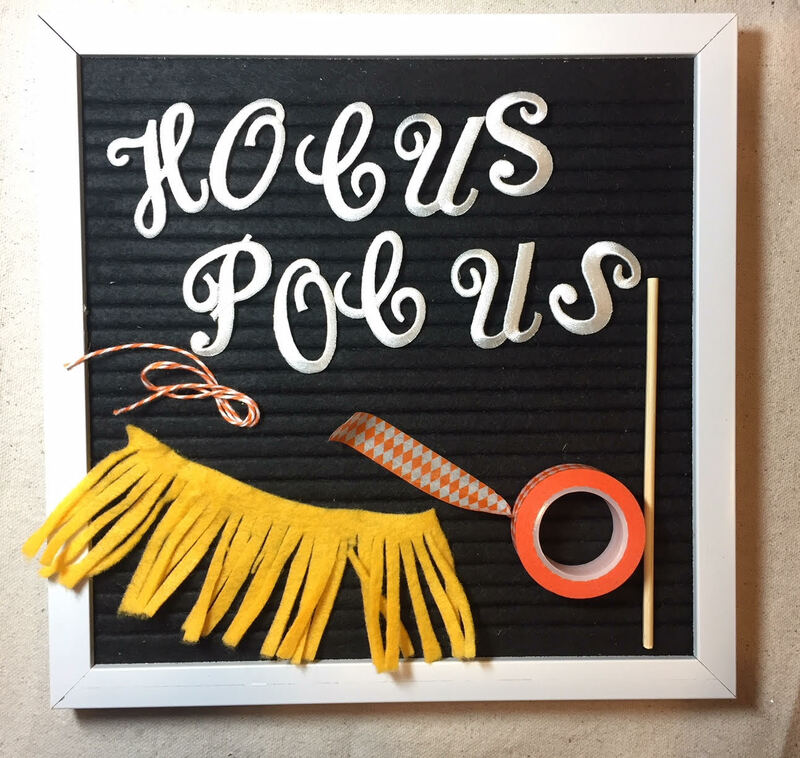 Cover the frame with washi tape then add any other spooky accessories! Additional sizes of Joy® iron-on embroidered monograms are available for endless word fun. 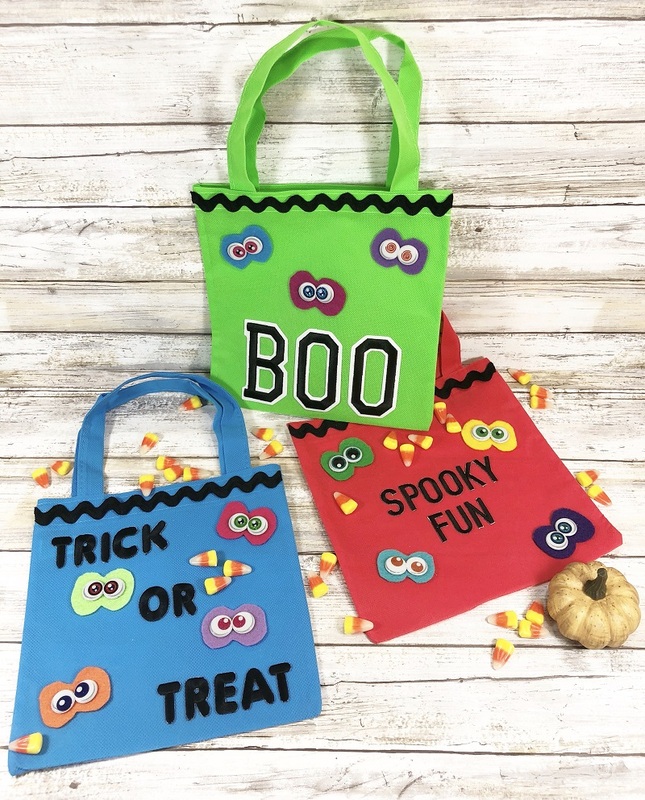 You can find them at your favorite craft stores! My niece has a lovely but unique name and Joy® Embroidered and Iron-On Letters makes personalizing a breeze! 1. 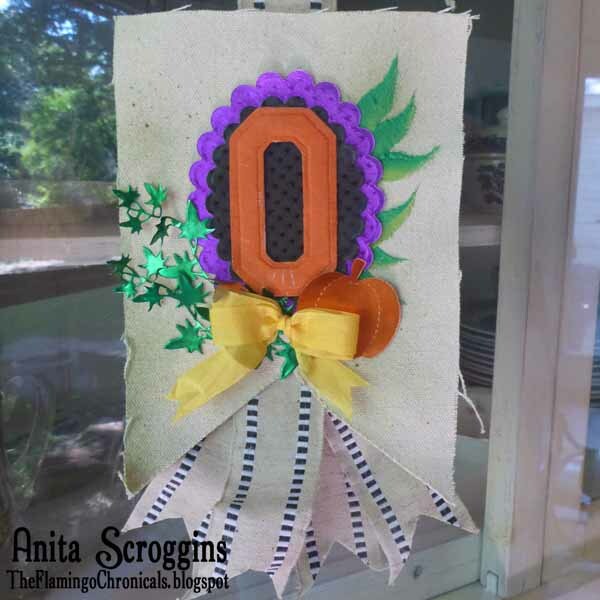 Peel the Flowers and Baby Monograms from their packaging and dry fit in place. 2. 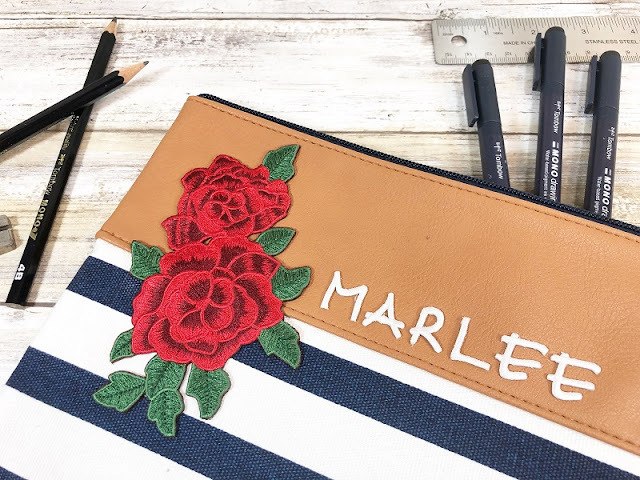 Iron the Flowers and Baby Monograms on to the zippered pouch, according to the directions on each package. Fill with art supplies or makeup to create the perfect goodie bags for a teenagers Birthday Party! 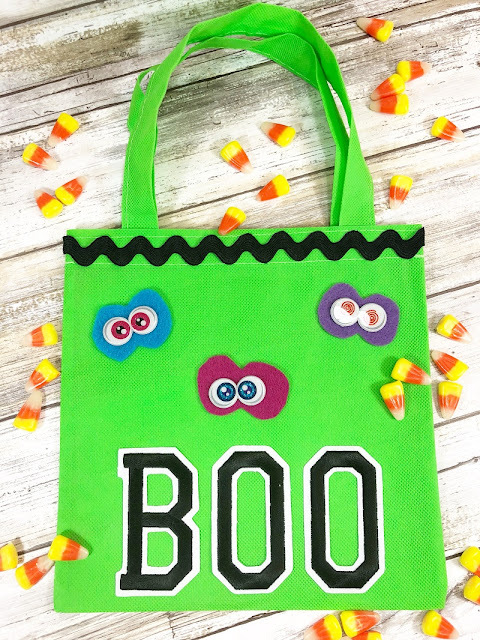 then add a few simple embellishments and some Joy® Iron-on Embroidered Letters? Position the letters, shiny side down onto the fabric. Use the hoop to help with placement. Cover letters with a fine cloth. With firm pressure, iron the letters for 30 seconds. Loosen the screw on the top of the embroidery hoop then separate the hoops. Place the fabric over the inner hoop then place the outer hoop over the top sandwiching the fabric between. 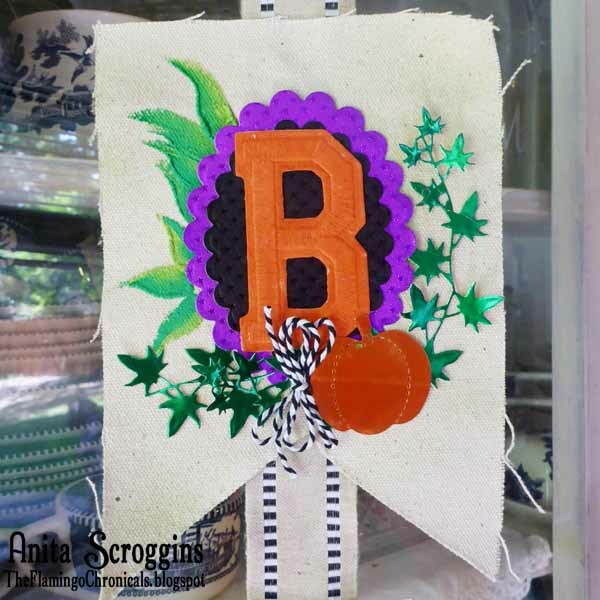 Make sure the letters remain straight then tighten the screw on the outer hoop to hold the fabric in place. 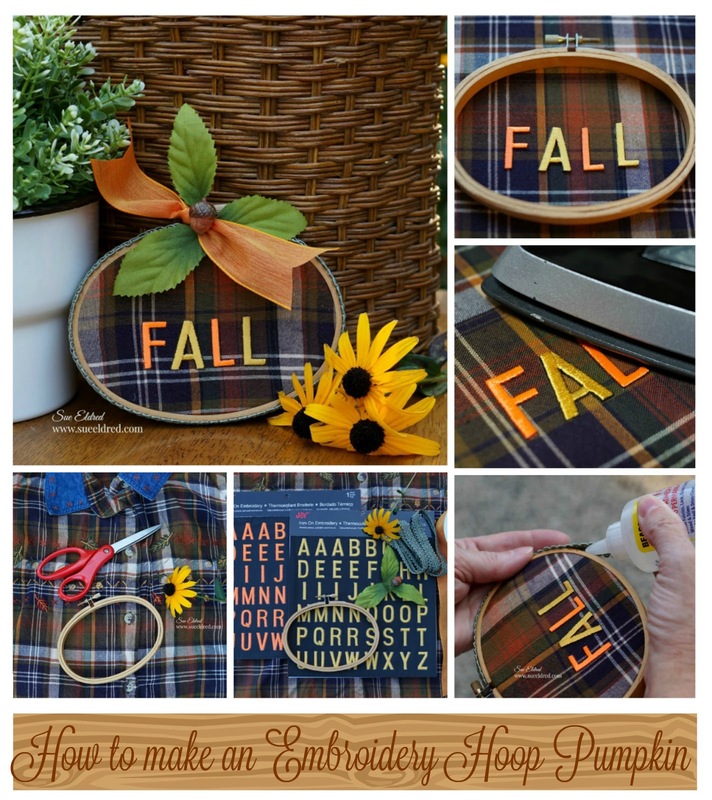 Trim away excess fabric from the outside edge of the hoop. Glue the green trim around the outside of the hoop. 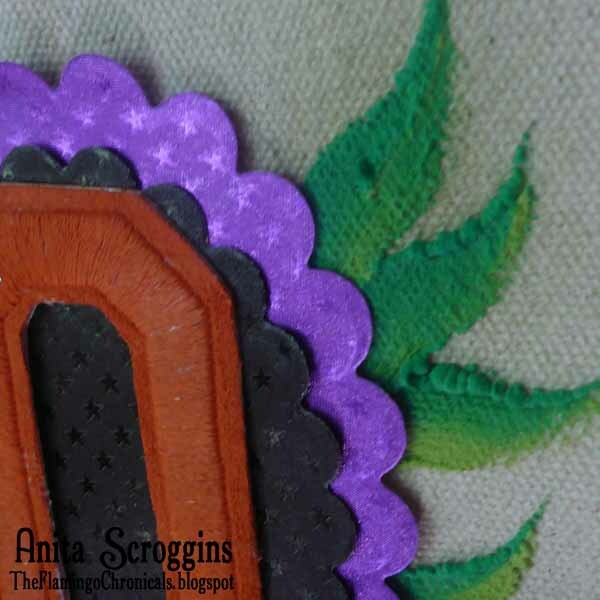 Tie ribbon and leaves to the top then glue a small acorn embellishment onto the ribbon. 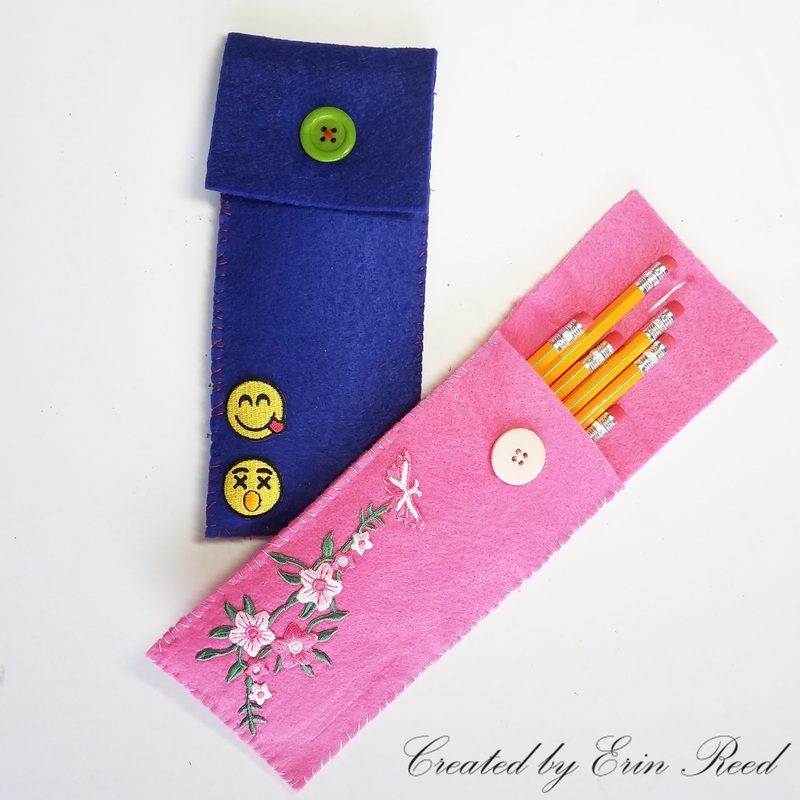 School is starting, so make your pencils cute and fun! 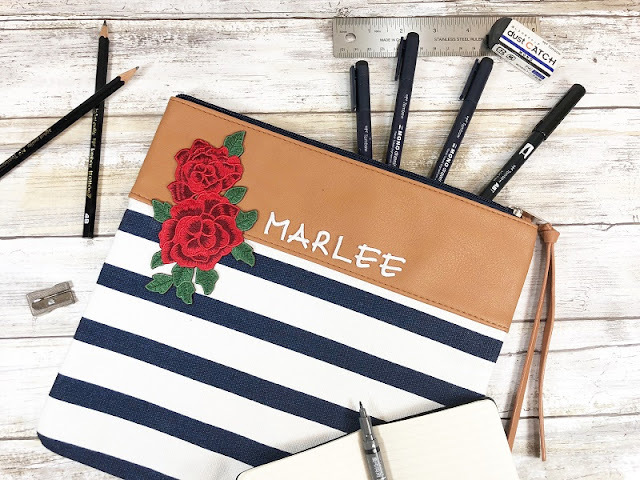 Create your own pencil case in any color and Joy® Iron-on design you like! Cut one, 3" x 8" piece of felt and one, 3" x 10". 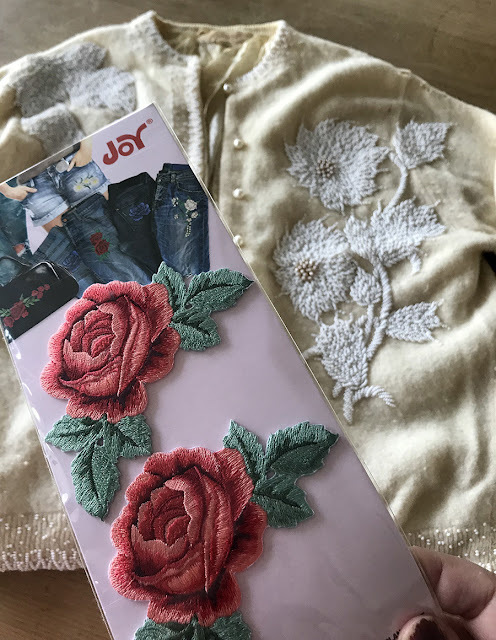 Select the flower or emoji you wish to use, then iron on to the front of the shorter piece of felt following the directions on the back of each package. 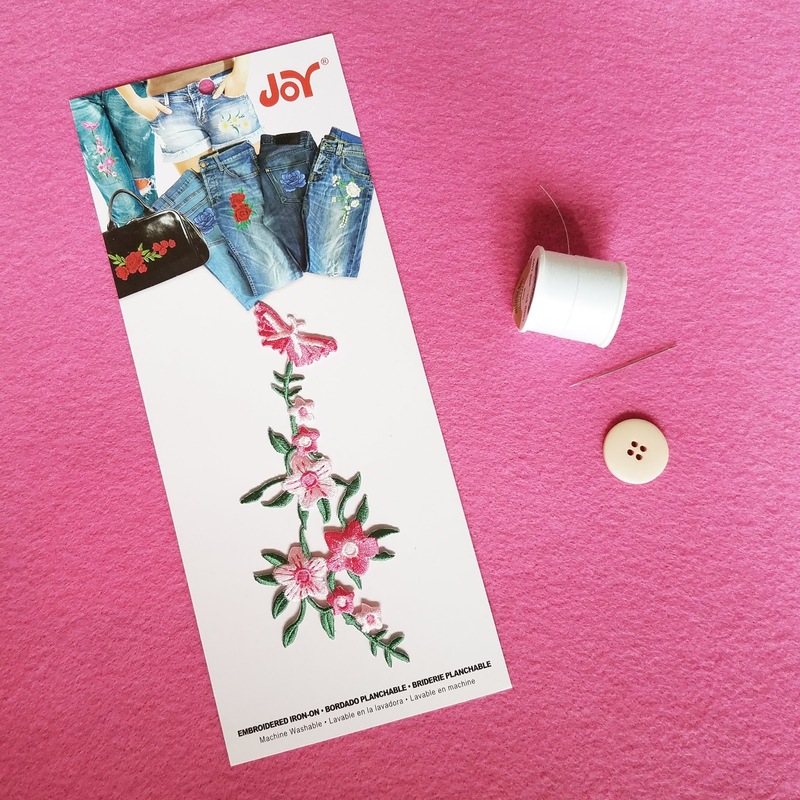 Sew the button to the top of the same shorter felt section. With ends aligned, glue or sew the two sections together leaving the top open. Cut a hole for the button in the longer section which will fold over to make a flap to secure the case. 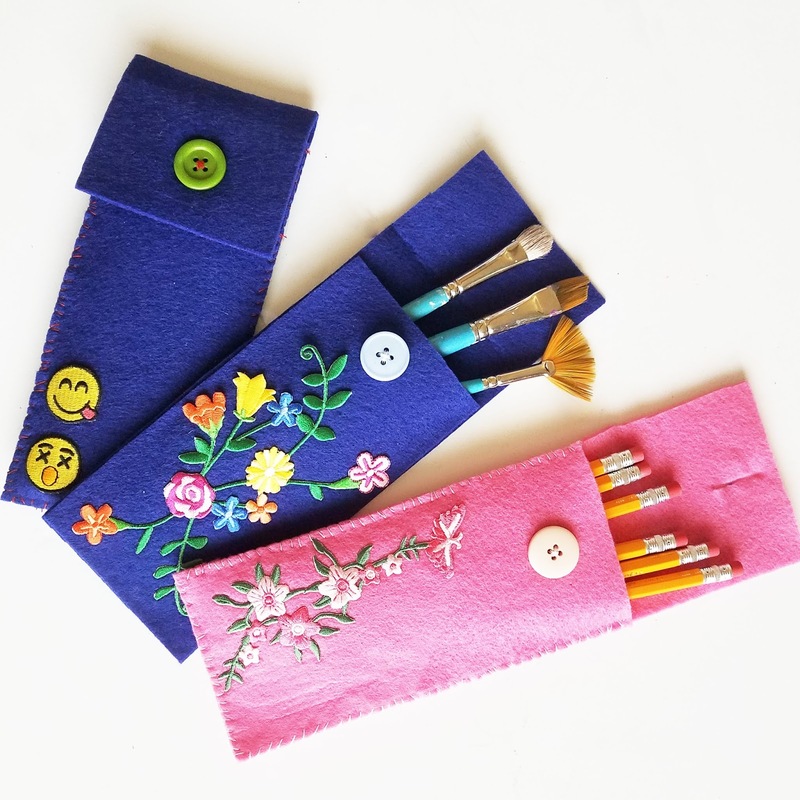 Enjoy this short video on how to make these fun pencil cases. 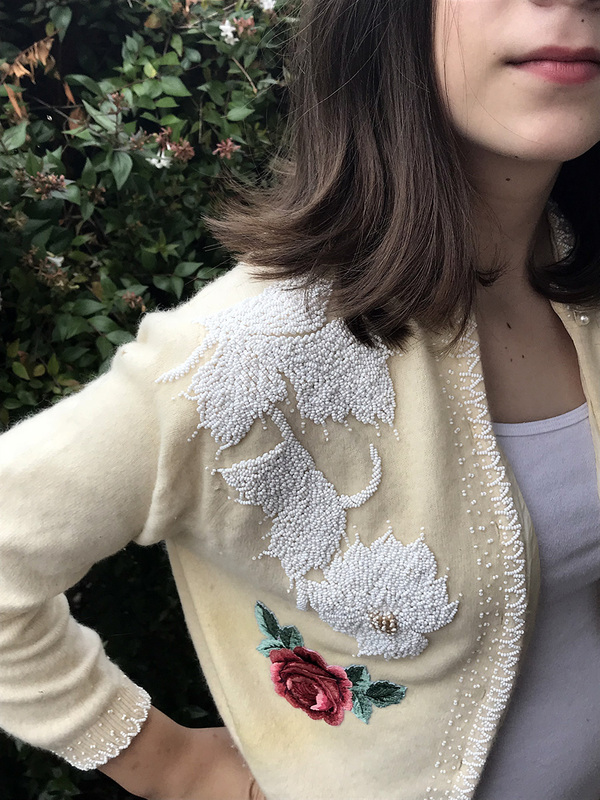 Sweater season is here and it's time to pull all your sweaters out of storage. Unfortunately, this also means we might discover moth and stain damage on our beloved sweaters. Don't throw them away! They can often be salvaged by patching over holes and stains with Joy® Iron-on flowers. 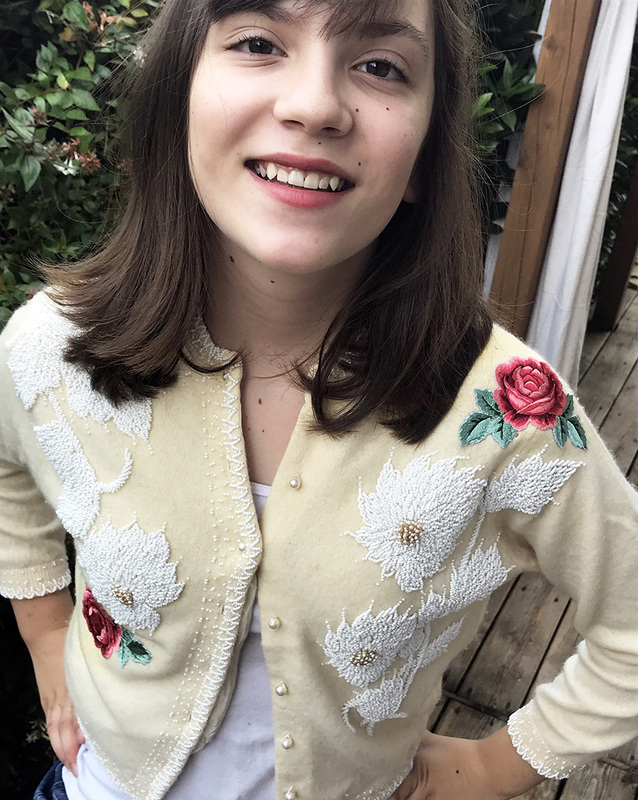 It only takes minutes and you have a beautiful, unique sweater. A sweater. One that needs some repair or even a new one that just needs a little personality. 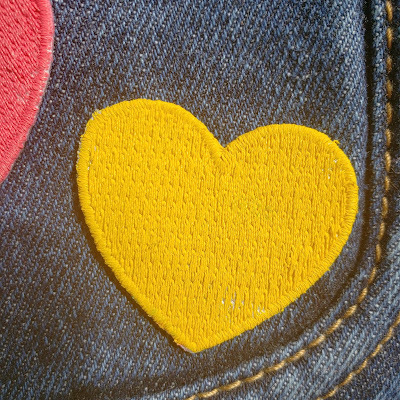 Iron or fabric glue-check your sweater's care label to decide which to use. 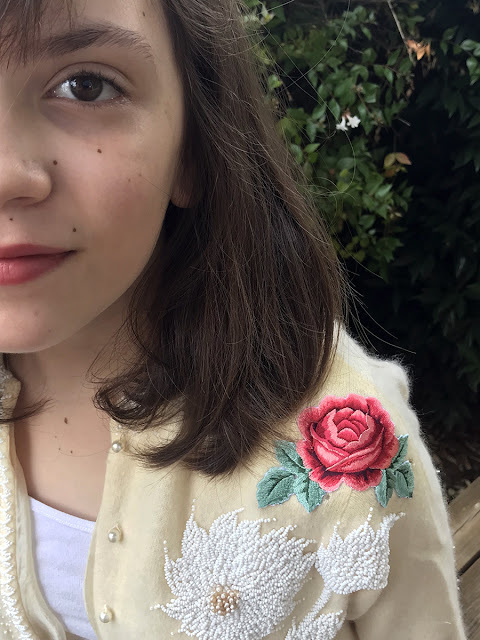 Simply place the Joy® iron-on embroidered flowers over moth holes, stains, or anywhere else you want to hide on your sweater. Set your iron to the cotton setting, cover with a pressing cloth, then iron for 30 seconds. Turn the sweater inside out, and press the back of the applique for another 30 seconds. It's important to check your sweater's heat tolerance. Some fabrics can't be ironed. But that's okay! 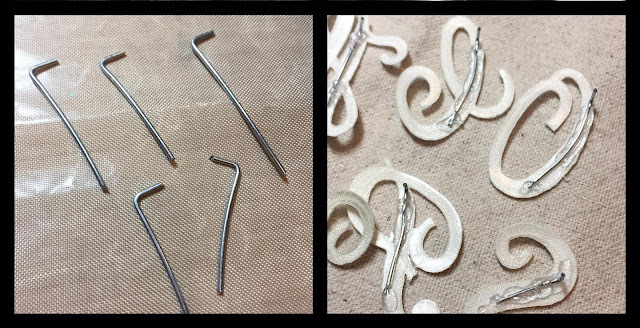 Just use fabric glue to attached your embroidered flowers. Time to decorate your home with wood slice pumpkins to celebrate the season. 1. Paint the center of the wood slices orange. 2. Cut stems from twigs with wire cutters, or shears then glue to the edge of each wood slice at the top. 3. Paint the letters with the brown watercolor paint. 4. Glue the letters to the pumpkins with tacky glue, or adhere them with a craft iron following package directions. Shade the letters with brown ink. 5. Die cut the leaves, crumple then add brown ink to the center and edges. Glue the leaves to the sides of the stem. Wrap wire around the stem and curl the wire on the paintbrush handle to finish.